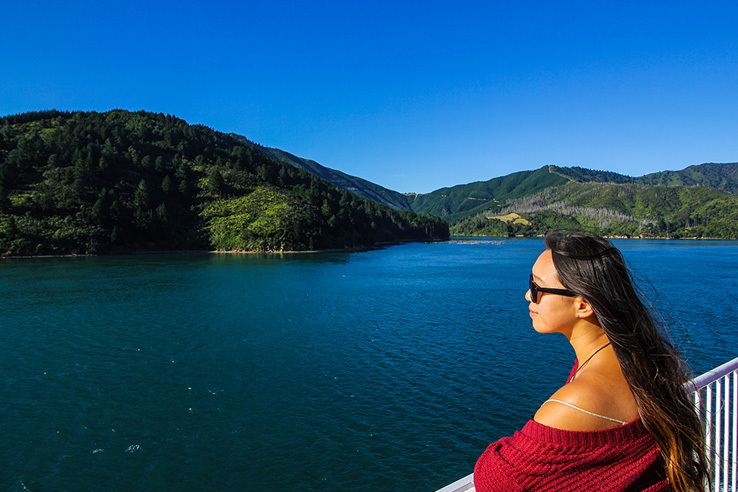 Book a Cook Strait ferry crossing with Bluebridge and earn double Airpoints Dollars™. Pack up the car or fill up the motorhome and set sail with Bluebridge. They sail 3 times a day, each way, every day. Enjoy the incredible scenery and a relaxed crossing complete with free movies, free wifi, and delicious food - prepared on board by their chefs. Accommodation is also available if you need your own space. Airpoints™ members who travel with Bluebridge can earn 1 Airpoints Dollar per $75 spent*. Make sure to have your Airpoints number handy when booking. Bluebridge and Airpoints terms and conditions apply. Please note, only Bluebridge passenger bookings are eligible to earn Airpoints Dollars. Strait Shipping freight bookings are excluded. Further information can be found on the Bluebridge website.